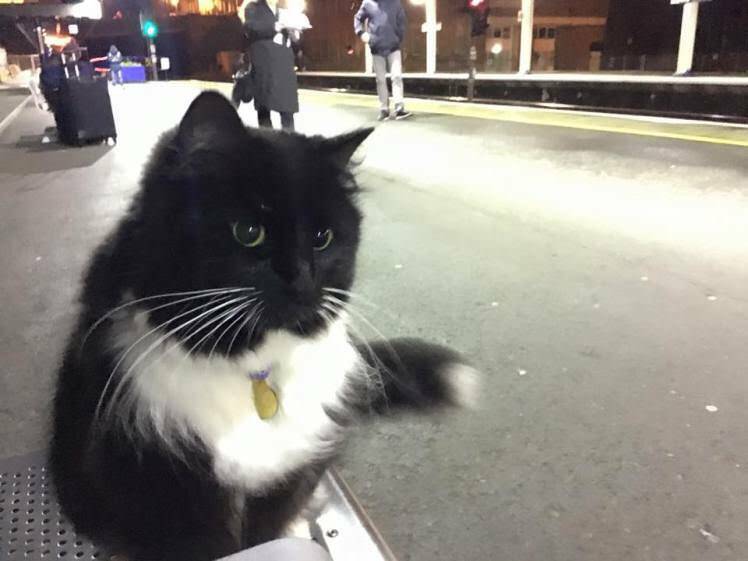 Meet The Cat That Just Got Promoted From His Railway Job... Yes A Cat! Animals have worked for as long as humans have worked, horses for travel, donkeys for carrying and modern day dogs for sniffing out drugs or trained to assist blind people, but never have cats been associated with working! Cats are notorious for being pretty stubborn animals who like to do their own thing, on their own agenda without being trained or responding to anything more than being fed or being cuddled! However, there is a new feline on the block who has proved all those preconceptions wrong and has just bagged herself a promotion! 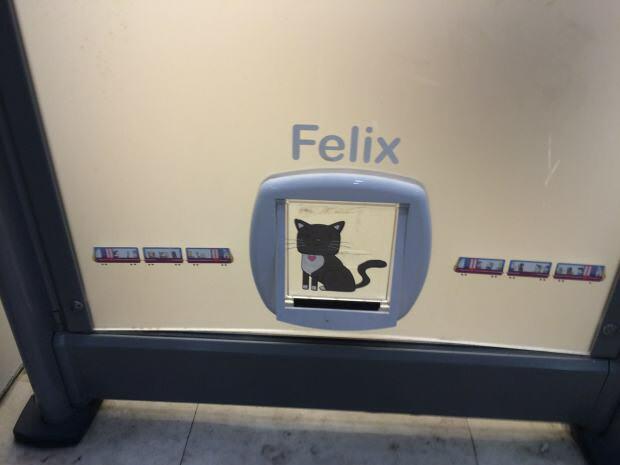 This is Felix the pretty little cat that has worked her way up this train station food chain and is now sporting a very proud job promotion! She has been working at Huddersfield Railway Station for just over five years! 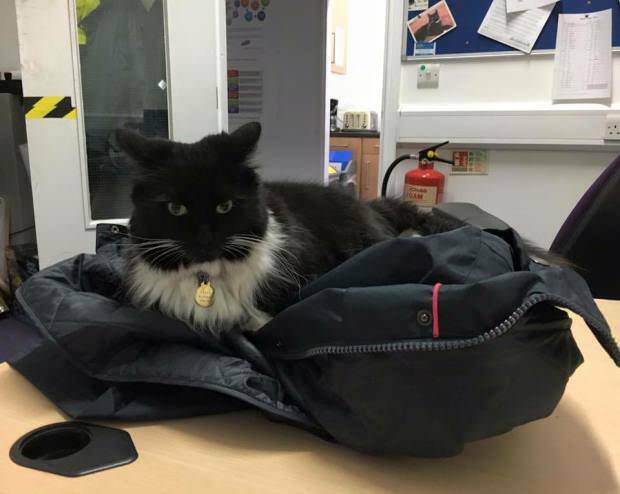 Day in day out for those five years she has caught any roaming rodents including mice and rats that have found their way into the railway station, she also builds up report with the customers and provides a friendly face for all those grumpy Monday morning commuters! So after five years of keeping up the good work and never failing to carry out her duties, Felix received her first big promotion! 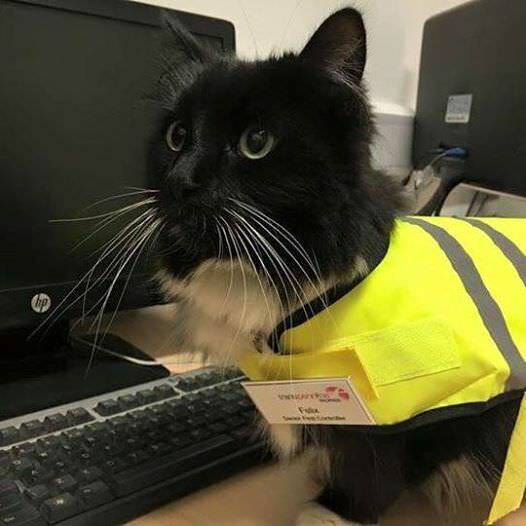 She was awarded an official job title to recognise the importance of her role alongside a fetching high visibility vest (custom made for cat size) and a ‘Felix’ name badge! She even got a special mention on the Transpennine Express official facebook page to congratulate her… even their human staff don’t get that! From being brought there at just nine weeks old, Felix has built up huge bonds and attachments with the staff as they have with her! So now she is the official Senior Pest Controller and Huddersfield Railway Station and has over 8,500 likes from fans all around the world! It would be fair to say she is quite the celebrity! The staff at the station have said the fame has gone to her head and with the increase in treats and attention from the passengers, it is fair to say she is loving the new found fame and work role! We just want to go to the station and see her for ourselves too, hard at work doing something she loves! If a cat can get his big promotion, then so can you! Next articleShopping Telly Bloopers – When Selly Telly Goes WRONG #4 is HILARIOUS!